The most efficient way to protect the life of your vehicle is to change the oil and oil filter on a consistent basis. A broken vehicle will not do you any good. 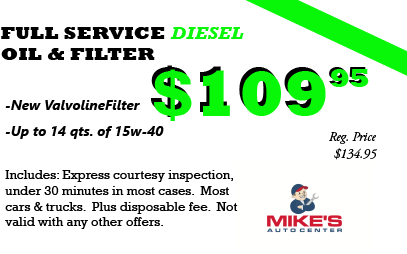 Come see Mike's Auto Center for a FREE vehicle assessment. Quick, hassle-free, State Inspection that will leave you relaxed and allow you to do more with your day. Mike's Auto Center understands your need for a fast, reliable and affordable vehicle repair and maintenance service. At Mike's Auto Center we provide a way to obtain this. It is simple, all you have to do is call, email, or even just drive by. We are there to answer all of your questions and immediately fix your vehicle. Call today to speak with an auto expert who can give you an upfront cost, without wasting your time. We value our customers time and help them understand their costs beforehand. No matter where you are in the world you can book an appointment with Mike's Auto Center. We will be sure to have an expert on stand-by when you pull up so that we can ensure the quickest possible service. No longer do you have to live with a broken automobile. 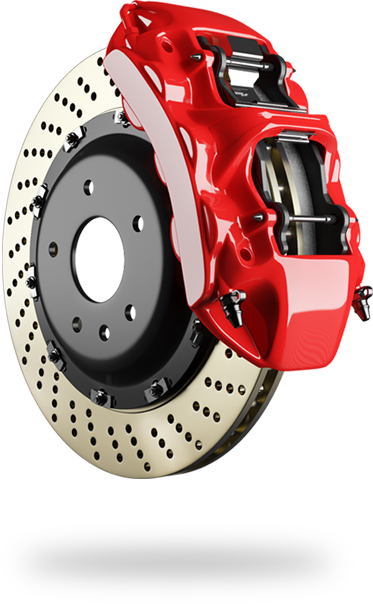 If your brake pads are worn or maybe time to change your rotor, your best bet is to speak with us to get the best deal and advice. 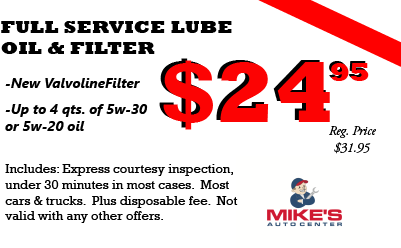 Mike's Auto Center is here to make your life easier. If you are curious about what has been going on with your car lately, take it in to Mike's. We will give you a FREE assessment so you can rest assured your car is in tip-top shape. For as low as twenty-five dollars, you can have your Oil Changed by the best Mechanics in town. We are quick, efficient and you will leave with a smile on your face. No matter what the cause maybe we will have a solution for you. We have state of the art tools that can quickly fix your vehicle. Every three months it is best to get a professional assessment of your vehicle's state. We won't sell you anything you don't need and we try and salvage as many parts as we can. If your steering wheel is constantly bouncing, or if your brakes squeak every time you come to a stop it might be time to get your Brake Pads looked at. This could even be a problem with your Rotor. Our experts will give you a free assessment and a free quote. If your car is veering either way to the left or right, you may need to have your wheels balanced. A quick alignment check can be had at our shop. We will quickly be able to tell you if need to have your tires realigned. 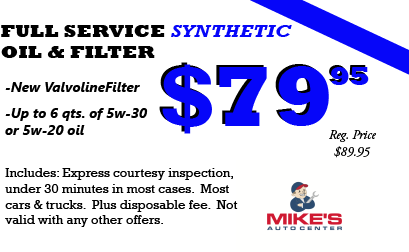 Call Mike's Auto Center TODAY for a free vehicle assessment. My car was making funny noises and only the people at Mike's Auto Center could locate the cause of this problem. Thank you so much for your hard work and dedication! I drive out from Frisco, Texas because Mike's Auto Center are truly the greatest mechanics around. They are quick, cheap, and always accurate with their vehicle assessments. My oil changes are so quick, that I sometimes don't even have time to sit down. They keep customers happy and moving them in and out the door everyday. My whole family goes to Mike's Auto Center. I really couldn't see myself trusting anyone else with me or the one's I love. Thanks Mike's Auto Center!